The concentrator at the Kamoto Mine in the DRC. Source: Katanga Mining Ltd.
Glencore AG’s Katanga Mining Ltd. [KAT-TSX] unit has resumed the export and sale of a limited amount of cobalt that complies with both international and local Democratic Republic of Congo (DRC) transport regulations with respect to the level of uranium. In the fourth quarter of 2018, Katanga said it would temporarily suspend the export and sale of cobalt produced from its 75%-owned Kamoto Copper Co. (KCC) project in the DRC until further notice. Its partner in the project is owned La Generales de Carrieres et des Mines (Gecamines), a state-owned mining company in the DRC. 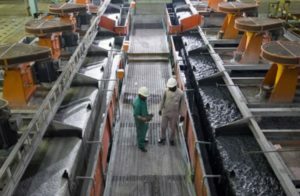 Katanga said the presence of uranium was recently detected in the cobalt hydroxide produced at the Kamoto Project in levels that exceed the acceptable limit allowed for export of the product through main African ports to customers. The low levels of radioactivity detected in the uranium to date do not present a health and safety risk. While KCC, together with the company and KCC’s 25% shareholder Gecamines, have been working with the DRC government and the Congolese Atomic Energy Agency (CGEA) on a long-term technical solution in the form of an Ion Exchange plant, KCC has also been exploring various interim solutions, both operational and regulatory, to recommence the export and sale of cobalt. Katanga recently said it intended to construct an Ion Exchange system to remove the uranium from cobalt produced at the project. The cost was estimated at US$25 million. However, the project was recently suspended at the request of the DRC government. KCC received a letter on January 30, 2019 from the DRC requesting the project be suspended until further notice. The DRC’s Minister of Mines was reportedly concerned about the technical solutions identified by KCC. Meanwhile, through interim solutions, KCC has produced approximately 930 tonnes of contained cobalt that complies with applicable regulations since January, 2019. This represents approximately 22.5% of the total production of contained cobalt since January 2019. As confirmed by the competent DRC authorities, KCC will resume the export of its cobalt hydroxide complying with the applicable regulations with immediate effect. 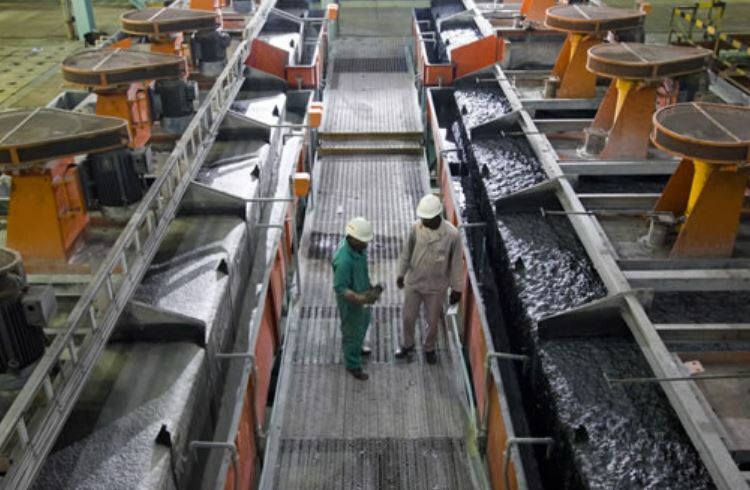 Katanga Mining operates a major mine complex in the DRC, producing refined copper and cobalt. The company has the potential to become Africa’s largest copper producer and the world’s largest cobalt producer. On Monday, Katanga shares were unchanged at 46.5 cents. The shares trade in a 52-week range of 36 cents and $1.85.